You will need to create an account in order to register for online modules and face-to-face events if this is your first time using this system. This program introduces individuals to the field of compassion fatigue, and how it applies in the animal related environment. Each section includes required readings from peer-reviewed journals, narrated Power Point presentations by experts in the field, explanatory videos and post-tests for comprehension. Participants will learn what compassion fatigue is, how it compares to other related concepts, and tools that can be used to address it. Understand how compassion fatigue differentiates from burnout, secondary trauma, post-traumatic stress, and vicarious trauma. This module has been approved by the NASW (approval #886617824-2871) for 9 contact hours. Dr. Elizabeth Strand is the Founding Director of Veterinary Social Work (VSW) at the University of Tennessee College of Veterinary Medicine. 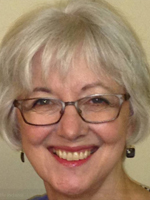 She is a licensed clinical social worker, experienced family therapist, Grief Recovery Specialist, and a Mindfulness-Based Stress Reduction Teacher. She also is trained as a Rule 31 Mediator, Child and Adult Anicare Animal Abuse Treatment counselor, a Compassion Fatigue Specialist and holds a Doctor of Philosophy in Social Work. Dr. Strand’s service-work centers around anti-animal abuse and anti-racism efforts. 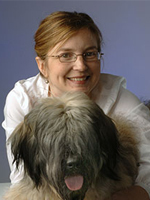 Her interest-areas include the link between human and animal violence, animals in family systems, the scholarly and practice development of veterinary social work as a sub-specialty of social work practice, communication skills, conflict resolution, and mediation and stress management techniques in animal welfare environments. Her professional mission is to encourage the humane treatment of both people and animals and to care for those professionals who care for animals. 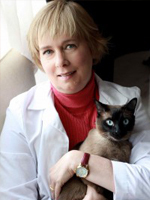 Dr. Susan Cohen is a pioneer in the fields of pet loss and human-animal interaction. She earned her doctorate in social welfare from Columbia University School of Social Work , where she researched the role of pets in urban families. She has taught social work at Columbia University and Long Island University. She also teaches online graduate courses and seminars for veterinarians and animal protection professionals, lectures, and gives media interviews. In addition she is Chairperson of SWAHAB (Social Workers Advancing the Human-Animal Bond), the first such committee of the National Association of Social Workers. In 2011 she received the Louis T. Benezet Award for Career Achievement. A social worker since 1977, Dr. Susan served as Director of Counseling at The Animal Medical Center (AMC) from 1982-2011 and counseled well over 25,000 people. She has also taught thousands of veterinarians, technicians, social workers, and others to figure out what needs to be done for pets and how to support each other to reach good decisions and to have productive lives. She has written many scholarly articles and lectures at dozens of professional conferences. Dr. Susan’s work has been featured in The New York Times, The Wall Street Journal, the New Yorker, and Smithsonian Magazine. In addition, she has made numerous television and radio addresses, including “The Today Show,” “20-20,” and “The Oprah Winfrey Show.” Her most recent academic articles are “Compassion Fatigue and the Veterinary Health Team”, “How to Teach Pet Loss to Veterinary Students”, and a book chapter, “Loss of a Therapy Animal”, published in 2010. A revised version of her book chapter, “Loss of a Therapy Animal”, will be published in 2015. Dr. Michele Gaspar is a 1994 graduate of the School of Veterinary Medicine University of Wisconsin-Madison and a licensed professional counselor. She is a Diplomate of the American Board of Veterinary Practitioners (Feline Practice) and was inducted into Phi Zeta, the veterinary medicine honorary, in 1993. In addition, she received an MA in counseling from Loyola University/Chicago in 2012 and a certificate in Mindfulness and Psychotherapy from the Institute for Meditation and Psychotherapy in Newton, MA, in 2011. She is currently enrolled in the Adult Psychoanalytic Psychotherapy Program of the Chicago Institute For Psychoanalysis. Dr. Gaspar is an employee of the Veterinary Information Network (VIN), where she is a consultant in Feline Internal Medicine. She also is a member of Vets4Vets, a program of The VIN Foundation that helps colleagues with personal and professional issues. For the past four years, she has facilitated a mindfulness meditation course for veterinarians and veterinary support personnel on VIN and offers an annual mindfulness retreat for veterinary medical personnel each October. To be the first to receive program updates, join our email list. Click here to view our refund policy for our modules. Click here to view our policy for face-to-face trainings.